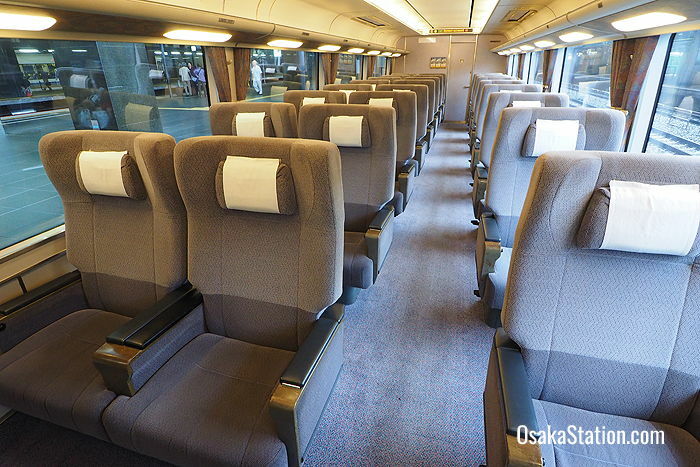 The Kansai Airport Express Haruka is a fast, comfortable and convenient limited express service which links Kansai International Airport directly with Tennoji Station and Shin-Osaka Station in Osaka, before continuing on to Kyoto Station. 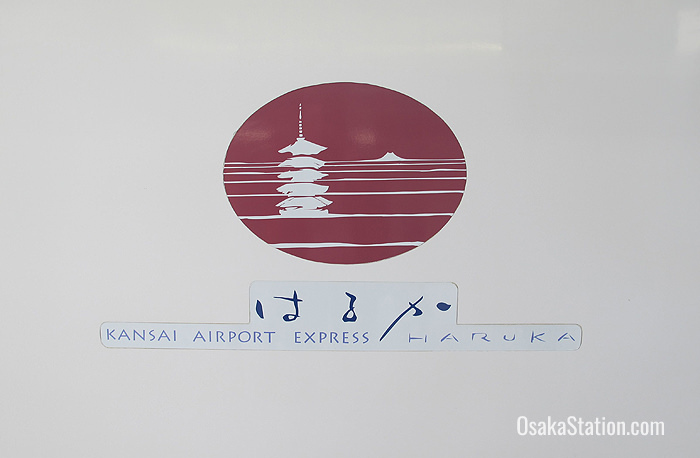 The Haruka runs 30 round trip services every day between Kansai Airport and Kyoto. Traveling from Kansai Airport the Haruka will get you to Tennoji in 35 minutes for 1,710 yen, Shin-Osaka in 50 minutes for 2,330 yen, and Kyoto in 75 minutes for 2,850 yen. The Airport Express Haruka does not stop at Osaka Station. For passengers traveling between Kansai Airport and Osaka Station we recommend the Kansai Airport Rapid Service which will cover the distance in around 65 – 70 minutes for 1,190 yen. 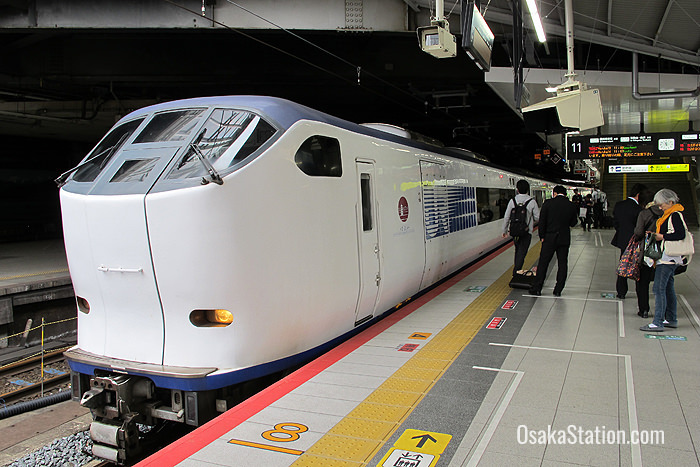 A slightly faster alternative is to take the Haruka between Kansai Airport and Tennoji Station, and the Kansai Airport Rapid Service between Tennoji and Osaka Station. This route will cover the distance in just under 60 minutes, but it is more expensive at 1840 yen. Both the Kansai Airport Rapid Service and the Airport Express Haruka are covered by the Japan Rail Pass, so if you have this pass, the Haruka is your best option between Osaka Station and the airport. Transfer here to the Osaka Loop Line for Osaka Station, and the Yamatoji Line for Namba and Nara. The main attraction in the Tennoji area is Shitennoji Temple, which dates from 593 and is Japan’s oldest Buddhist temple. Tennoji Park, Tennoji Zoo and Osaka Municipal Museum of Fine Art are also nearby. You can download a free map of the Tennoji area from the Osaka Info website. Shin-Osaka Station is the terminus for two shinkansen lines: the Tokaido line which connects Osaka with eastern Japan, and the Sanyo line which connects Osaka with the west. Passengers for Nagoya, Yokohama and Tokyo should transfer here to the Tokaido shinkansen. Passengers for Kobe, Himeji, Hiroshima and Fukuoka should transfer here to the Sanyo shinkansen. 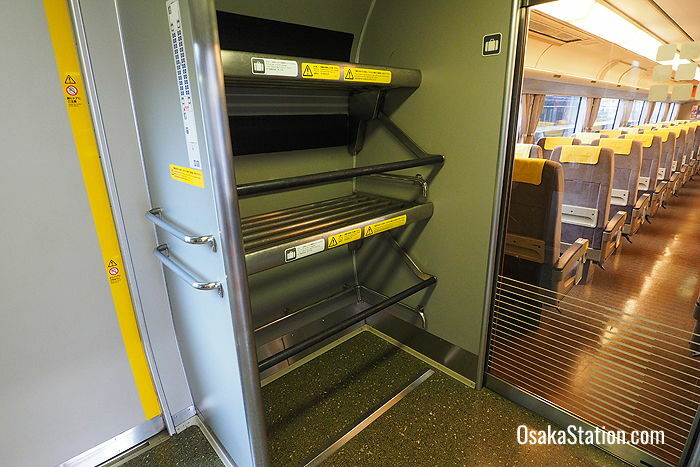 At Shin-Osaka station passengers can also connect with the Subway Midosuji Line, which is the main line running north to south in the Osaka city subway network. 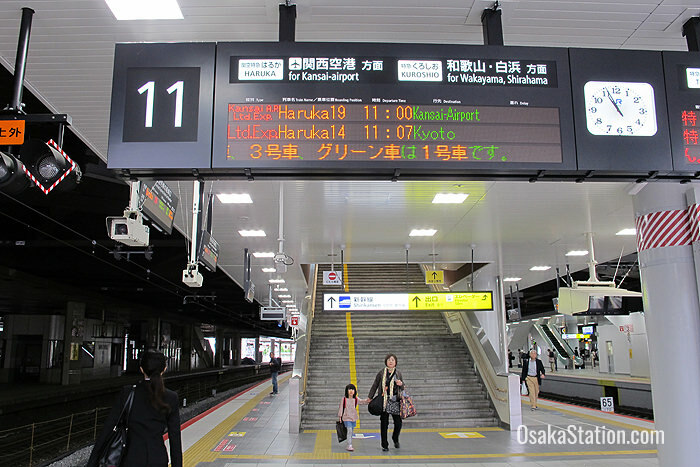 There are also transfers to regular JR lines and several Limited Express services. For passengers who do not have a Japan Rail Pass, the ICOCA & HARUKA discount set is a very good deal. The set includes a discount ticket for the Airport Express Haruka, and a pre-paid rechargeable ICOCA card. The ICOCA is a convenient IC smart card that can be used for transport on the JR network, subways, private railways and for bus transportation. It can also be used for shopping. If you already have an ICOCA card however, you can still take advantage of this deal. Simply show your ICOCA card at the time of purchase and you can buy the Haruka discount ticket by itself. 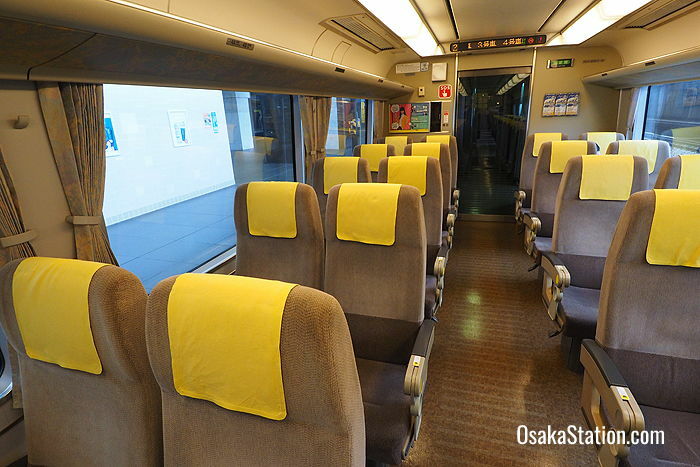 The Haruka discount ticket can be used for destinations directly on the Haruka route and also for connections to areas in Osaka like Umeda and Namba, and beyond Osaka to Kobe and Nara. One-way sets valid for 1 day, and round-trip sets valid for 14 days are both available. Let’s take a look at the discount prices. For travel from Kansai International Airport, the ICOCA & HARUKA discount set can be purchased at the Kansai Airport Station, or you can reserve the set online. However, one-way ICOCA & HARUKA discount sets for travel to the airport cannot be reserved online and must be bought in Japan. For more details or to make a reservation please check the official JR West webpage.